Top 5 Cities to Spend Labor Day in the USA! Labor Day weekend is the last chance to enjoy those passing summer days before cooler temperatures and fall colors set in and BBOnline has five cities that are sure to help you send out summer with a bang! 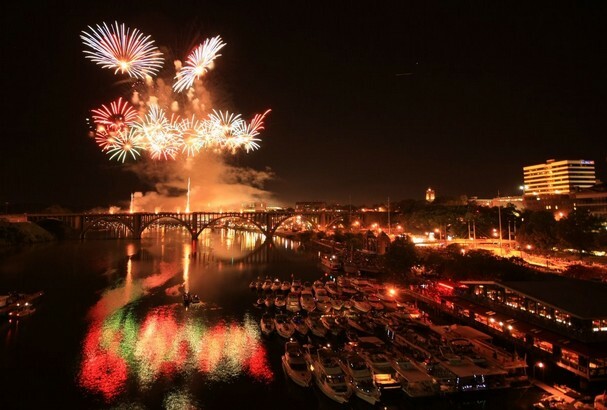 Your favorite Knoxville, Tennessee or Great Smokey Mountain bed and breakfast is in the heart of the biggest Labor Day fireworks show in the U.S., Boomsday! Celebrated on Sunday, Boomsday draws crowds of nearly a half million to Neyland Drive along the waterfront at Volunteer Landing in Knoxville. Visitors can expect to hear live music; there are activities for all ages; lots of great food and more. Admission is free to the public. The celebration begins at 1pm and the fireworks get underway at 9:30pm rain or shine. Spending the Labor Day weekend at a bed and breakfast in the Mile High City will get you a bit closer to a local tradition in Denver known as a Taste of Colorado! 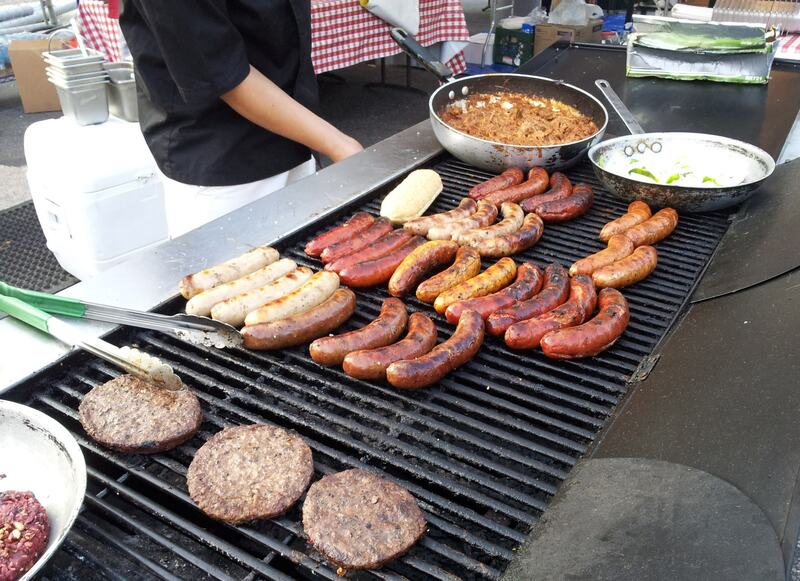 For more than forty years A Taste of Colorado has welcomed hundreds of thousands of visitors and talent to Denver for a four day, end of summer event that not only offers great entertainment but delicious food and of course, fireworks! A Taste of Colorado is free to the public, but you have to purchase coupons to pay for food and beverages - which you can at the park. The celebration gets underway at 1pm. 3. P & G Riverfest! If you are thinking of spending your farewell to summer weekend at one of the beautiful Cincinnati bed and breakfasts; you should put the P & G Riverfest on your list of things to do. P&G Riverfest will be held at the Bicentennial Park in the heart of Cincinnati and gets underway at noon on the Sunday of the Labor Day weekend. Riverfest has been a signature celebration for Northern Kentucky and Cincinnati Ohio for more than thirty years. The event is free to the public and the fireworks kick off at 9pm. The Motor City will be celebrating the Detroit Jazz Festival and while you are there you should stay at one of the cozy Detroit area bed and breakfast. The Detroit Jazz Festival has been a celebrated Labor Day event for over 33 years. This four day festival offers great music, fabulous food and activities and of course, fireworks. The Detroit Jazz Festival is FREE to the public! Planning to spend your Labor Day weekend in your favorite Wildwood, New Jersey bed and breakfast? If you are, then you are in luck because one of the most spectacular fireworks celebrations to bring the summer to a close gets underway. 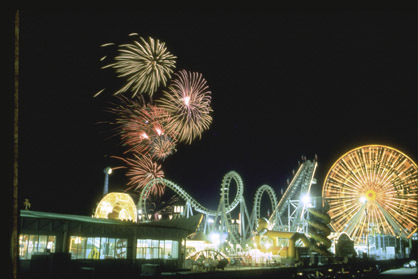 Fireworks on the Beach are visible from just about any location in Wildwood.